Caren Chase has an exciting job. She works for a museum as a fossil preparer. She travels to places where fossils are found. There, she makes sure that they are dug up and shipped carefully. Chase’s latest trip was to Mongolia’s Gobi Desert. 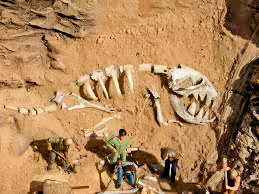 Some of the world’s best preserved dinosaurs, lie under the Gobi’s sand. Getting a dinosaur skeleton safely out of its surrounding rock, requires many hands, and Chase is there to see that the job is done right. Chase collects specimens herself. On the Gobi trip, she found a five-inch lizard fossil. She brushed away the sand. She cut into the rock around the lizard, but not too close to the actual specimen. When the block of soft rock, with the lizard inside, was almost free, she covered it with both gauze, and a layer of plaster of paris. Then she pulled the block free and flipped it over. She coated the underside with plaster of paris too. The plaster kept the fossil safe on its journey to the museum. Back at the museum, Chase carefully chipped away the plaster and the rock, to expose the delicate fossil skeleton. Preserved and prepared, it would become part of the museum’s display of prehistoric life. 1. 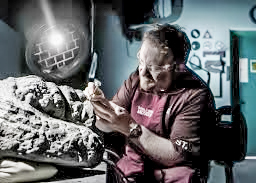 What does a ‘fossil preparer’ do? 2. Where does she find some of the world’s best-preserved dinosaurs? 3. Why is a fossil covered with plaster of Paris before shipping? 4. 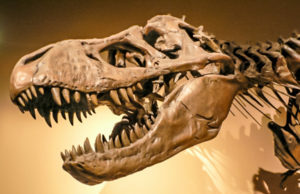 What happens to a fossil when it arrives at the museum?